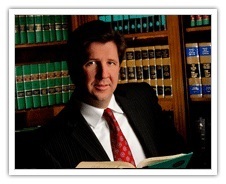 Published on: April 1, 2014 | J. Bradley Smith, Esq. 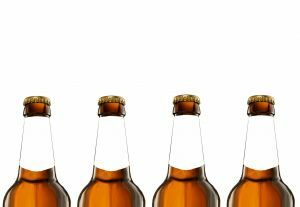 In light of pop star Justin Bieber’s recent arrest for drunk driving in Miami, many have begun paying closer attention to local laws concerning underage drinking and driving. The reason is that some were surprised to hear that Bieber had been busted after police found him driving with a blood alcohol level well below the 0.08 percent that many assume is standard. In Bieber’s case, Florida’s law says that a person under 21 can be arrested and charged with drunk driving if they are found to have a BAC of 0.02 percent or above. This might come as a shock to many people who automatically assume the 0.08 percent applies to all drivers across the board. Young drivers in North Carolina should realize that a similar law exists in this state which can lead to young people being arrested with far lower levels of alcohol in their system than would be required for drivers over 21. North Carolina’s law is actually even stricter than the one in Florida, with legislators here adopting a zero tolerance approach. That means that any driver under 21 who is found to have any alcohol in his or her blood whatsoever, even something as small as 0.01 percent, could be cited for impaired driving. The rules can be so strict for young drivers because the state’s law clearly explains that it is illegal for anyone under 21 to consume alcohol except for in several very narrow circumstances. These circumstances include religious reasons, medical requirements or educational purposes (chefs and others that might need to cook with wine). Though drivers under 21 make up a relatively small share of the overall drivers in the state, only about 10 percent, the account for a disproportionately higher share of all DUI related deaths every year, 14 percent. Given this disparity, legislators have long felt that a strict approach was the best way to ensure everyone’s safety on the roads. Though young drivers can be arrested and charged with drunk driving despite dramatically lower levels of alcohol in their bloodstreams, it’s important to understand that the punishments for young drivers convicted of DUIs are just as stiff as those over 21. That means that young drivers convicted of a first drunk driving charge can face fines, license suspension and even possible jail time (though this is highly unlikely). Beyond the fines, the license suspension and possible jail time, those convicted of drinking and driving also face points on their driving records, steep increases in insurance premiums (as much as 400 percent), attorney’s fees and court costs. All in all, driving drunk can be a very expensive decision. “Underage Drinking. Adult Consequences,” published at NCDOT.gov.